SOUTHFIELD — The Engineering Societ of Detroit’s fall Engineering and Technology Job Fair will be held Monday, Sept. 17 from 2 to 7 p.m. at the Suburban Collection Showplace, 46100 Grand River Ave. in Novi. More than 40 companies will be on hand, offering 2,500 jobs in engineering and allied technical fields. For jobseekers, whether seasoned professionals, recent graduates or those between jobs, the event offers the opportunity to attend a tailored event specifically for engineering and technology professionals, network with prospective employers, and learn about job openings in their fields. Past company exhibitors have included Black and Veatch, Denso, Design Systems, DTE Energy, General Motors, Michigan Air National Guard, Michigan Department of Transportation, Mitsubishi Motors R&D, Piston Group, SmithGroupJJR, Star Cutter Co., Sumitomo Electric Wiring Systems, Swagelok Michigan and Tower International. The event is free for ESD members seeking jobs. It’s $20 for non-ESD members. Registration includes a one-year membership to ESD, a $99 value. (This offer is good for new, first-time members only.) Jobseekers are also encouraged to enter their resumes into the ESD Job Bank, jobs.esd.org, free. 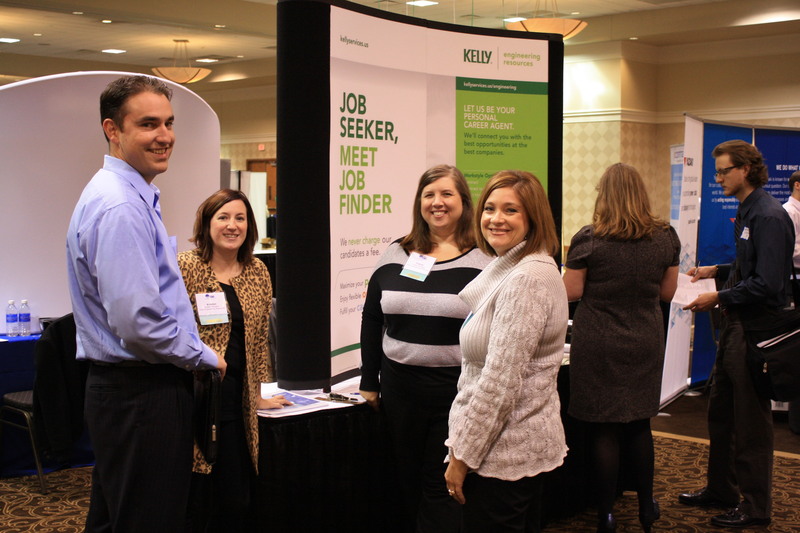 Employers struggling to find the right employees should plan on exhibiting at the Job Fair. ESD job fairs are hailed as the premier recruitment event for engineers, recent college graduates, trained technicians and allied professionals with all levels of experience and expertise. Prospective candidates will be seeking full and part-time positions, as well as internships and co-op opportunities. Recruitment booths are $450 for ESD members and $550 for non-members. A booth package includes up to five attending employer representatives, an eight-by-10-foot exhibit space with one eight-foot skirted and draped display table, two chairs, lunch, complimentary wireless internet access and a company description on ESD’s website. For complete booth package details, download the exhibitor brochure, or contact Leslie Smith, CMP, at (248) 353-0735, ext. 152 ,or lsmith@esd.org.